You are now viewing Craft Fairs In North West. 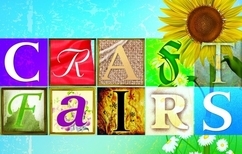 Craft and Gift Fair Preston - Well known Garden Centre on the main road, busy event. Unloading - Thursday from 3.30pm to 5.30pm. Friday from 7.30am. Public opening - Friday/Saturday 9.30am.. 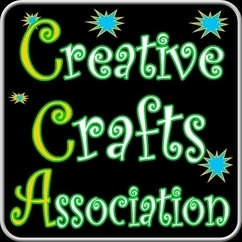 Craft, Collectors & Gift Fair, Clitheroe, Lancashire. 10.00 - 16.00. 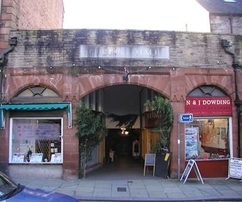 The Fair is held in the historic Market Town of Clitheroe in the spacious Clitheroe U R Centre on the High Street on Castle..
Baby, Childrens and Maternity Nearly New Sale Chorlton High School, Nell Lane, Chorlton, Manchester, M21 7SL Saturday 27th April 2019 1:30pm-3:30pm SELL your quality second hand baby, children..
A friendly Car Boot Sale organised and run by the 1st Lydiate Scout Group with all proceeds towards the promotion of scouting in Lydiate and beyond. Our sale is located outdoors on the field..
Carlisle Gift & Craft Fair. 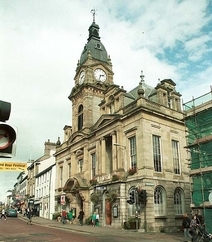 Venue: Old Town Hall (Saturday) Tables cost £30 for 6ft or £50 for 12ft. 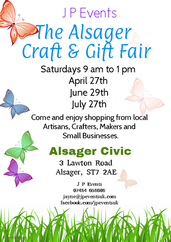 Open from 10am until 4pm Set up from 8.45am Additional information: The..
We are holding a Craft & Gift Fair at Alsager Civic on 27th April, 29th Jule, 27th july, 31st August & 28th September between 9am and 1pm. 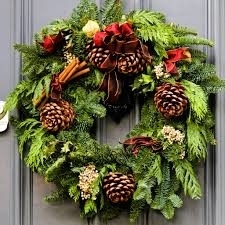 There will be over 40 stalls selling a variety of handmade.. 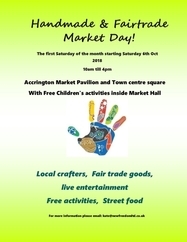 Craft & Gift Market Preston - A large selection of hand made gifts by local people at great prices. ranging from bath bombs to photography, you will be amazed at the quality of the goods on..
Funtopia is a fantastic fun-packed event which is perfect for tots to tweens.Filled with bouncy castles, activity inflatables, under 5's area, circus skills, interactive play system and much..
Flea Market and Car Boot Sale established over 25 years ago. Open every Sunday. Indoor and Outdoor, Great buying and selling. Stalls and spaces are priced from just £15 for the day, same.. 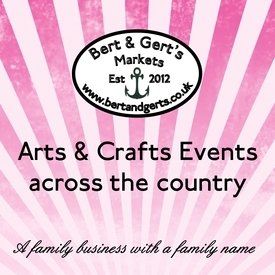 The craft fair is being held in a marquee with 20 stalls of quality hand made gifts and food all made locally. With stunning artwork, wildlife photography, wood turning and unique jewellery.. Craft and farmers' market stalls available on Saturday 4th, Sunday 5th & Monday 6th May at Guys Teddy Bears Picnic Family Fun Days. 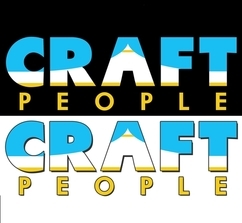 Open to the public from 12 noon to 6pm Entrance is free to..
Pooley Bridge Gift & Craft Fair - New Makers Market in this popular village at the end of Ullswater. Tables cost £15 for 6ft or £25 for 12ft per day. You can book for one day or.. 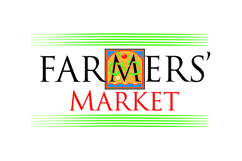 This 3 day event hosted by Creative Crafts is well established and set within the grounds of the beautiful Capesthorne Hall in Cheshire, the main event is inside a large marquee however outside..
Prescot Farmers Market � 1st Saturday of each month. 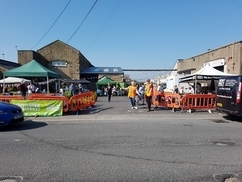 Eccleston Street Prescot L34 5QL Times: 9am � 4pm Local Famers Market with stalls selling Local Produce Cost £15.00 per stall pitch..
Prescot Arts and Craft Fair � 1st Saturday of each month. Prescot Shopping Centre Prescot L34 5GA Times: 9am � 4pm Arts and Craft Fair with stalls selling handmade goods Cost £10.00 per.. 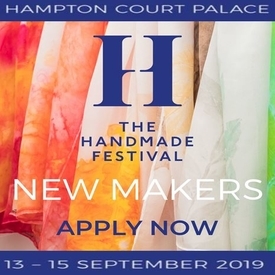 Handmade & Fairtrade Market - A celebration of all things handmade and fairtrade! 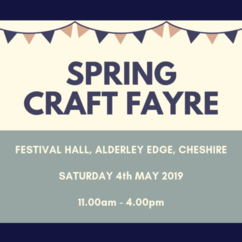 using Accringtons outdoor market pavillion (alongside the regular stall holders) tables and cover is already..
Alderley Edge Spring Artisan Craft Fayre - Harford Event Management is looking for talented artisans, artists and makers wishing to showcase their beautifully handcrafted products at a Spring..
Join us on Sunday 5th May 11am till 3pm at Rainford Village Hall and browse the array of delightful stalls with over 25 stalls to shop from there really is something for everyone!We will be..
Keswick Gift & Craft Fair - At the Skiddaw Hotel in the Heart of Keswick this popular fair usually attracts well over 500 visitors. We always welcome new stallholders and customers. 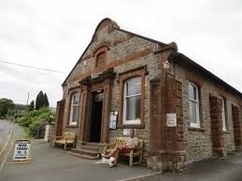 Venue: Appleby Public Hall (Saturday). Tables cost £20 for 6ft or £35 for 12ft. Open from10am until 4pm Set up from 8.30am Loading is from outside of the Public Hall near to..
Baby, Childrens and Maternity Nearly New Sale Cheadle Hulme Methodist Church, Ramillies Ave, SK8 7AL Sunday 12th May 2019 2:00pm-4:00pm SELL your quality second hand baby, children's and maternity..
Baby, Childrens and Maternity Nearly New Sale Chorlton High School, Nell Lane, Chorlton, Manchester, M21 7SL Saturday 18th May 2019 1:30pm-3:30pm SELL your quality second hand baby, children..
Crafts & Gifts Fair Kenyon Hall Farm Warrington - This is a very popular Farm attraction with lots of thing to entertain the children including 'Pick your own' in season. Our stalls are all.. The Tatton Park Country Fair - Returning for the 6th year, this family Country Fair will have something for everyone. Arena entertainment will include , birds of prey flying displays, terrier..
Lots of various Crafts & Gifts.Beautiful Handmade items.Buy that special gift for that special someone.Free AdmissionRefreshments availablePlease provide your own 6ft x 2ft table approx and..
A family fun day at Hawarden Estate Farm Shop grounds. There is a fun dog show event and the castle ruins are open for the day (only opeed 4 times per year, so interest is pretty high) The aim..
AlannaFest is an outdoor music festival that raises money for a local cancer support charity Cancer Care in memory of Alanna Duffy who passed away after fighting Leukaemia. This year will be..
Crafts and Gifts Fair Cheshire Horse Show (Formerly Warrington Horse Show) - If you require more information or would like to register an interest in having a stall at this event, then please..
Ribchester Spring Bank Village Market - Ribchester spring bank village market is in 2019 in its 31st year 2018 was our best year ever we had thousand of visitors though the market and the village..
Southport Food & Drink Festival - A great event for the Creative Crafts Association. If you require more information or would like to register an interest in having a stall at this event, then.. Attend this fantastic wedding fair & meet Cheshires best wedding suppliers! 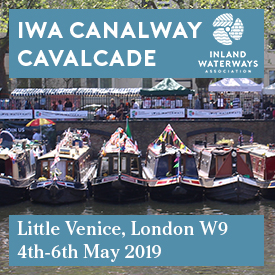 A fun day out for all the family with plenty of activites, exhibitors & give aways. Free admission & parking!Brought..
Crafts and Gifts at Marple Garden Centre Stockport - This is a Wyevale Garden Centre - Long-established local garden centre with an on-site restaurant and its own Miniature Railway. Unloading.. 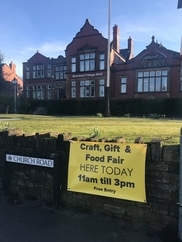 Craft, Gift & Food Fair Warrington - Join us on Saturday 8th June at Croft Village Memorial Hall and browse the array of delightful stalls with over 15 stalls to shop from there really is something..
Baby, Childrens and Maternity Nearly New Sale Chorlton High School, Nell Lane, Chorlton, Manchester, M21 7SL Saturday 15th June 2019 1:30pm-3:30pm SELL your quality second hand baby, children.. 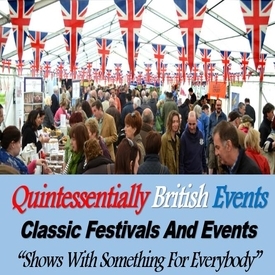 Craft and Gift Marquee within the event at Scorton Showground, Lancashire, PR3 1BN. Scorton Steam is the biggest steam fair in the North West with over 600 exhibits of vehicles of all ages.. 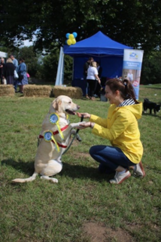 The Cheshire County Show 2019 - Early booking recommended to avoid disappointment. 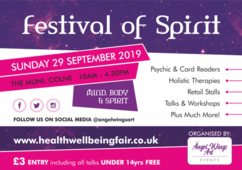 Unloading - information and show passes regarding this event will be posted to you nearer the time Public..
A long established and very popular event in the heart of the Cheshire countryside. We are only responsible for the Craft and Gift marquee and show entry prices apply to all visitors. 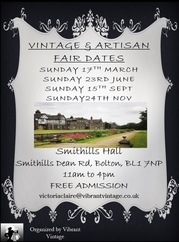 This..
Chorlton High School, Nell Lane, Chorlton, Manchester Baby, Childrens and Maternity Nearly New Sale Cheadle Hulme Methodist Church, Ramillies Ave, SK8 7AL Sunday 23rd June 2019 2:00pm-4:00pm..
Vintage and Artisan Market at the impressive Smithills Hall. The Hall was built in 1529 and is one of the oldest and best preserved manor houses in the North West. The fair will take place.. Leisure Lakes Steam & Vintage Rally - A very busy event with lots of attractions for all the family. 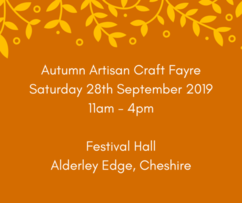 Public opening -9.00am to 5.30pm daily If you require more information or would..
Alderley Edge Summer Artisan Craft Fayre - Harford Event Management is looking for talented artisans, artists and makers wishing to showcase their beautifully handcrafted products at a Summer..
We will be supporting the show with a craft marquee on the field with 15 stalls of quality hand made gifts and food all made locally. With stunning artwork, wildlife photography, wood turning..
Great Eccleston and District Agricultural Show - The Great Eccleston Show is a great 2 day event which showcases a whole range of rural crafts and skills. 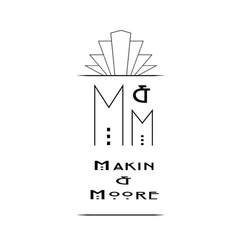 Our Craft Marquee will be part of..
Baby, Childrens and Maternity Nearly New Sale Chorlton High School, Nell Lane, Chorlton, Manchester, M21 7SL Saturday 13th July 2019 1:30pm-3:30pm SELL your quality second hand baby, children..
Makers Market/Artisan Fair to be held in the grounds of beautiful Falinge Park Rochdale. The event will also include an Around the World Food fair and will be visited by the Mayor and other.. 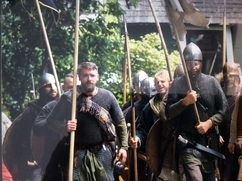 This is the fourth Viking themed event and last year attracted some 10k people. 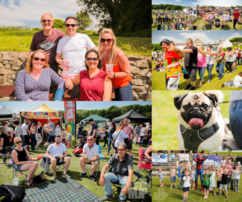 From relevant craft stalls, food and drink, Living Village, Fairground attractions to battle re-enactments this.. 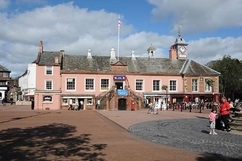 Craft and Gift Fair Carlisle Dobbies World - Dobbies Carlisle is easily accessible from the A595 and is just a few minutes drive from the popular village of Dalston. 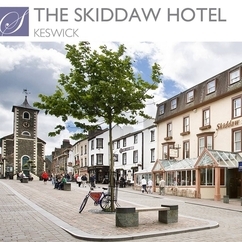 Public opening - Saturday..
Kendal Gift & Craft Fair. Venue: Town Hall (Saturday) Tables cost £25 for 6ft or £40 for 12ft. 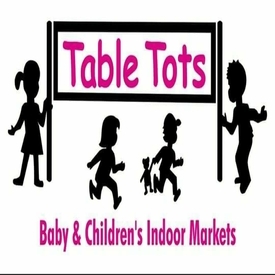 Open from10am until 4pm Set up from 8.30am * March 31st (Easter Saturday) * July..
Baby, Childrens and Maternity Nearly New Sale Cheadle Hulme Methodist Church, Ramillies Ave, SK8 7AL Sunday 21st July 2019 2:000pm-4:00pm SELL your quality second hand baby, children's and maternity..
Lots of various stalls and activities for all the family including bouncy castle, raffle, tombola and more. Buy that special gift for that special someone. Come along and join in the fun. Stalls..
Nantwich County Show -The Showground, Dorfold Park, Nantwich. 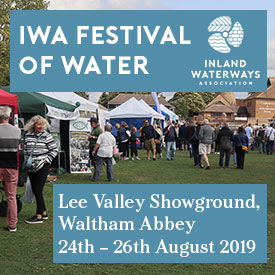 CW5 8LB The largest one day show in the Country, with estimated footfall of 35,000, so please book early to avoid disappointment..
We will be supporting the show with a craft marquee on the field with quality hand made gifts and food all made locally. With stunning artwork, wildlife photography, cards and unique jewellery.. This is the sixth year of this festival. It attracts approximately 56k people. 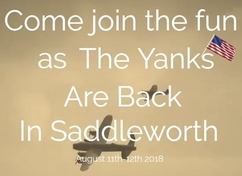 On the Saturday there is plenty for the family - local bands, paratroopers, Science fair, donkey rides, fairground..
On August 10th-11th 2019, the annual military show & vehicle parade returns to the villages of Uppermill in Saddleworth. The event brings a wide selection of fabulous 1940s entertainment, historical..
Southport Flower Show. 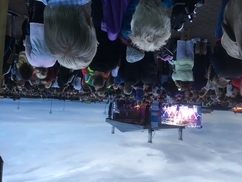 15/8/2019 to 18/8/2019 Victoria Park, Southport, Merseyside PR8 2BZ Southport is a beautiful and elegant town, and the annual flower show enjoys a very high reputation.. Ocean Plaza Craft Gift & Food Fair Southport - Ocean Plaza is a very busy shopping and Leisure site next to the pier. and we are pleased to have our Marquee within the sites carpark. Public..
Stonyhurst Food and Drink Festival - New for us in 2018. We are again joining the Great British Food and Drink Festival at their event in 2019. Public opening- 10am to 5pm If you require..
Hi & welcome, Craft Promotions are pleased to announce our forthcoming event to be held at Preston Grasshoppers R.F.C Sunday 27th August 2017 any one that would like to book a table, should.. Craft and Gift Fair Bridgemere Garden Centre Cheshire - A Wyevale Garden Centre. 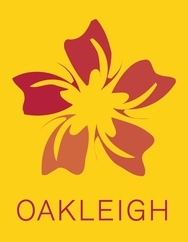 Britain's largest and most spectacular garden centre, lies on the beautiful borders of Cheshire, Staffordshire..
We will be supporting the show with a craft marquee on the field with over 25 stalls of quality hand made gifts and food all made locally. 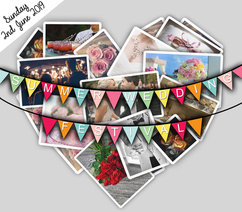 With stunning artwork, wildlife photography, wood..
Join us on Sunday 1st September 11am till 3pm at Rainford Village Halland browse the array of delightful stalls with over 25 stalls to shop from there really is something for everyone!We will.. 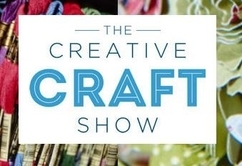 The Creative Craft Show Manchester - The Creative Craft Show is a haven for knitting, cross stitch, paper crafting, jewellery & dressmaking and stitching enthusiasts, offering all the very latest..
Lots of various crafts and gifts. Beautiful handmade items. Come along and buy that special gift for that special someone. This is their annual open day. Lots of events on during the day ie.. 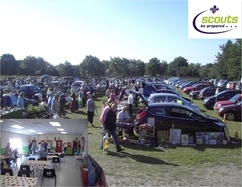 Craft and Gift marquee within the event at Scorton Showground, Lancashire, PR3 1BN. This exciting event will showcase many aspects of the local game industry. 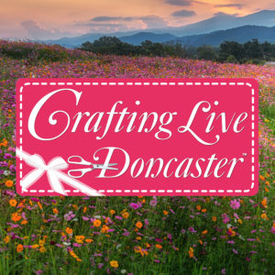 Attractions will include hound..
Crafts and Gifts Fair at Lowther Pavilion Lytham St Annes - Always a popular indoor venue and one of our long-standing events. Parking at Lowther Pavilion is on the road adjacent to the building.. Enjoy an afternoon of wedding shopping and wedding planning and chat with up to 40 amazing wedding suppliers and the friendly staff about your wedding ideas and requirements! 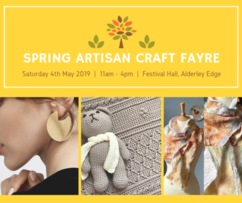 Set on the peaceful..
Arley Hall Craft & Gift Fair Knutsford - A long established and very popular event in the heart of the Cheshire countryside. 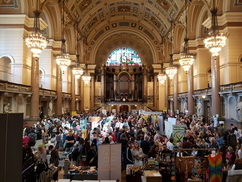 We are only responsible for the Craft and Gift marquee and show entry..
LABL Vegan Fair Liverpool - Live A Better Life!Saturday 23 March 2019 and Saturday 21 September 2019St George's Hall, Liverpool, L1 1JJ10 am - 5 pmAbout LABL Vegan Fair LiverpoolOur tenth and.. 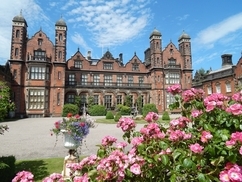 This Chester & Cheshire Wedding Fayre will be hosted at the Craxton Wood Hotel & Spa. 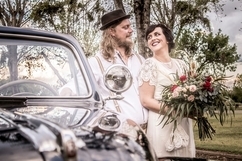 This 4 Star Country House is beautifully secluded and a picture perfect wedding venue, combined with outstanding..
Widnes Vintage Steam Rally - Largest gathering of vintage fair organs and machinery. Free admission Public opening - awaiting details If you require more information or would like to..
Alderley Edge Autumn Artisan Craft Fayre - Harford Event Management is looking for talented artisans, artists and makers wishing to showcase their beautifully handcrafted products at a Autumn..
A fantastic family day out with psychic readers, holistic therapists, beauty, jewellery, crystals, ethical gifts, children's fairy entertainment, food and much more! £3 Adult and children.. Craft, Gift & Food Fair Warrington - Join us on Saturday 29th September at Croft Village Memorial Hall and browse the array of delightful stalls with over 15 stalls to shop from there really.. Craft and Gift Fair Gordale Garden Centre South Wirral - New for us in 2018 a very popular Garden Centre so we are having a return visit this year. Unloading - Thursday from 3.30pm to 5.30pm.. 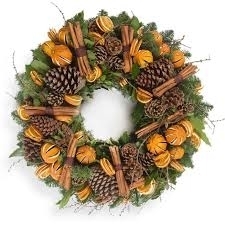 Early Christmas Fair St Helens - Join us on Sunday 13th October 11am till 3pm at Rainford Village Halland browse the array of delightful stalls with over 25 stalls to shop from there really..
Penrith Gift & Craft Fair. Venue: The George Hotel Additional information: The fair is located in the Ballroom of the Hotel- up a short flight of stairs Unloading is from the car park at..
Christmas Craft & Gift Extravaganza Bolton - University of Bolton Stadium (formerly Macron). Extremely busy, large venue. 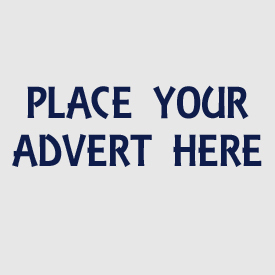 Situated just off M61 � J6 nr Bolton. Public opening - 10am to 4.pm.. 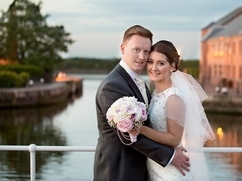 This stunning and prestigious wedding venue is a Luxury 4 Star Hotel, Spa and Golf Resort. 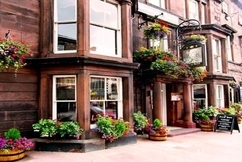 The warm and welcoming, friendly staff make this hotel an unrivalled retreat combining tranquility..
40 - 45 exhibitors inside the Tenants Hall at Tatton Park, Art-design, craft and gifts with food and drinks. 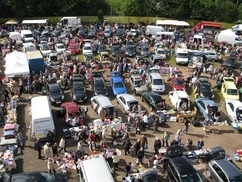 Parking included in the six pounds charge at Tatton Park, which includes deer park..
Rivendell Craft Fair Widnes - Welcome return to this large popular Cheshire Garden Centre near Widnes. Public opening - Friday/Saturday 9.30am to 5pm. Sunday 10am to 4pm If you require more.. Early Christmas Fair St Helens - Join us on Sunday 3rd November 11am till 3pm at Rainford Village Halland browse the array of delightful stalls with 30 stalls to shop from there really is something.. Early Christmas Shopping all inside the Tenants Hall. 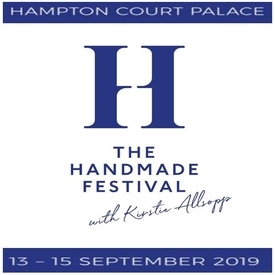 45 exhibitors with craft gift and food and drink. 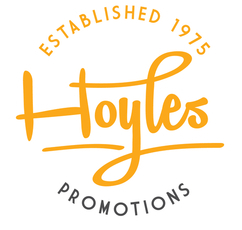 Specially picked throughout the North West to exhibit at this event, many exhibiting..
Christmas Crafts and Gifts Fair Haydock Park Racecourse - Well established Indoor event for us, and once again this year we are holding 2 events, Easter and November. Unloading - from 8am..
Christmas Craft and Gift Fair Southport Dobbies Garden World - Exceptionally busy Garden Centre and very successful venue for our events. Unloading - Thursday from 3.30pm to 5.30pm. Friday..
Capesthorne Hall Christmas Crafts Gifts and Country House Show - This is one of the most prestigious venues in Cheshire. Very busy well-attended events. Public opening to be confirmed (previous..
Christmas Fair Warrington - Join us on Saturday 30th November at Croft Village Memorial Hall and browse the array of delightful stalls with over 15 stalls to shop from there really is something..
We will be in the Market Hall with over 20 stalls of quality hand made gifts and food all made locally. 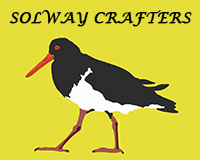 With stunning artwork, wildlife photography, wood turning and unique jewellery. 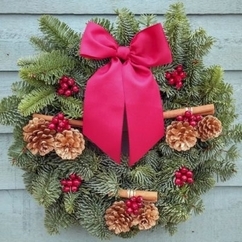 Beautiful..
Christmas Craft and Gift Fair Preston - Well known Garden Centre on the main road, busy event. Unloading - Thursday from 3.30pm to 5.30pm. Friday from 7.30am. 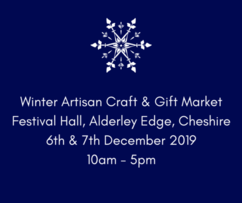 Public opening - Friday/Saturday..
Alderley Edge Winter Artisan Craft & Gift Market - Harford Event Management is looking for talented artisans, artists and makers wishing to showcase their beautifully handcrafted products at..
Keswick Gift & Craft Fair - At the Skiddaw Hotel in the Heart of Keswick this popular fair usually attracts well over 500 visitors.We always welcome new stallholders and customers. Stonyhurst Christmas Food and Drink Festival - New for us in 2018. We are again joining the Great British Food and Drink Festival at their event in 2019. Public opening- 10am to 5pm If you..
Canvas Button Art Picture Heart Princess..
Viking Pagan Gothic Theme Badges Handmade.. Box Frame Button Art Picture Baby Elephant.. Mother and Baby Giraffe Wall Hook on..
Cruella de ville shawl set fur red.. Handmade Felt Swarovski Crystal Brooches..
Pug Dog Gift Clutch/Make up Purse -..
Dresser and dining table with four.. Handmade Wooden Rose Design Hair Brush.. Framed Coat of Arms & Surname History..
,,Aunty Betty's Homemade Scottish Tablet..